Royal Rumble stands as one of the most exciting WWE events. An event which began way back in the year 1988, has now become one of the anticipated annual sports entertainment events. 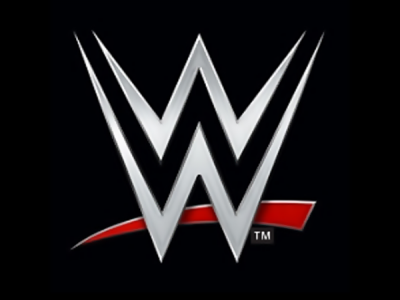 Royal Rumble also has been an active part of the development of WrestleMania, as the winner of the match gets their title shot at the flagship event of the company. Last year the company started hosting two Royal Rumbles. One for men and one for women. Let’s take a look at the rumbles of this year, who’ll win and whom will they cash their chance against. Last year the majority of the wrestling world knew that Asuka would win the Royal Rumble. She was on a hyped undefeated streak and was dubbed as the next big thing. The Royal Rumble match was used to build her character further. This year however, amongst the participants announced no one seems to be a clear favorite and not one can be clearly picked to win. Popular wrestlers like Alexa Bliss, Carmella, Nia Jax and Ember Moon have been announced as participants but none have been given any sort of pre-Rumble angle or build to make sure that they win. Company favorite, Charlotte Flair, daughter of the legendary Ric Flair, seems like the wrestler who’ll win but what feud will they set-up around her is not clear. Also, Flair is coming off multiple-title reigns in the past three years. Giving her another push at this point will be an overkill. However, given her past with Asuka, WWE might turn it into an epic rematch and build the entire thing from an Asuka redemption angle. In my opinion, the winner will be Becky Lynch. Lynch is already booked for a match at Royal Rumble where she is taking on Asuka in a rematch. However, given a recent rumor that Rousey plans to take a lengthy break after WrestleMania, WWE wouldn’t want to miss the opportunity of pitting Rousey against Lynch. Lynch built off an amazing feud with Rousey before their Survivor Series match. Though the match never took place because of Lynch getting injured, the exchanges between the two were engraved in the minds of the WWE universe. Thus making the match between her versus Rousey is a much awaited one. WrestleMania will be an amazing platform for Rousey versus The Man. Hence, I feel Lynch loses her match against Asuka, then proceeds to make a surprise entry at the Rumble match and win it. Last year the Rumble winner was Shinsuke Nakamura. He lost his match to AJ Styles at WrestleMania. Nakamura was one of the favorites to win Rumble last year given he had a history with AJ Styles and was hyped year-round. This year, despite having no specific name, few do shine out. The first is Seth Rollins. Rollins is an amazing in-ring performer and is one of the most underutilized personalities in the WWE. A major injury once forced him to relinquish the WWE world heavyweight championship, Rollins had an amazing 2018. He focused mainly around the Intercontinental Championship where he had amazing feuds with both Dolph Ziggler and Dean Ambrose. Him winning the Rumble shouldn’t surprise anyone. Another name in the mix is Drew McIntyre. McIntyre was once on the lower end of the midcard while being a part of the 3MB. His career resurgence will go down as historic. First, winning the NXT title and then being shot the main card of major PPVs. McIntyre, enters as a favorite. Other names in mix are John Cena, Braun Strowman and The Miz. Someone being ignored by most is Dolph Ziggler, who after a long time may get his deserved high moment.